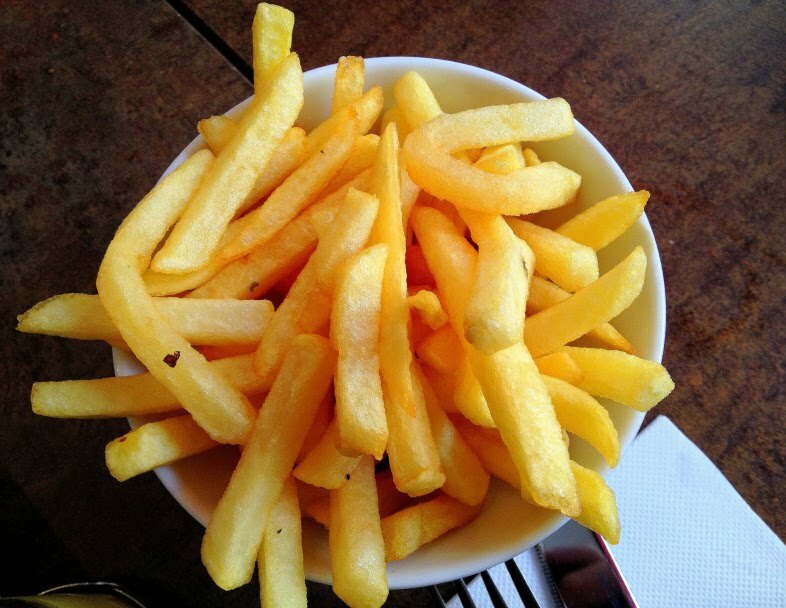 When it comes to french fries, I can finish off a whole plate in no time. It is one of my favorite snack, regardless of the fact that it has many calories. 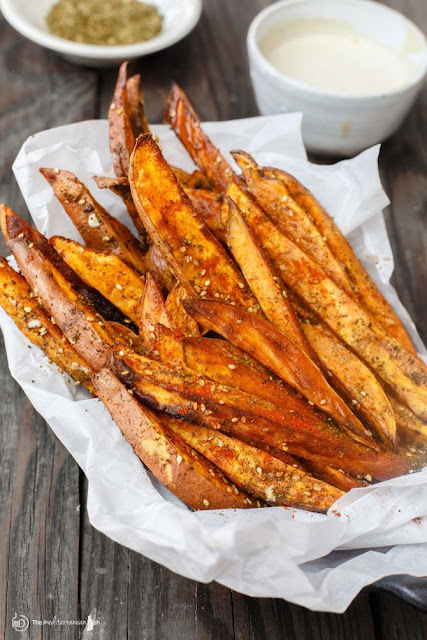 Combined with sour cream sauce or ketchup, french fries can make your day any time. How about enjoying this sinister yummy food in four different styles at home! 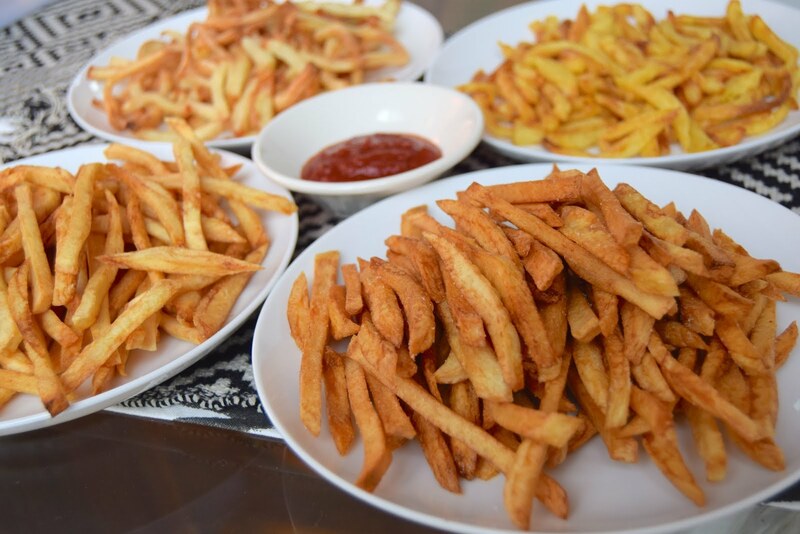 Let's go with 4 ways to make french fries at home! 1. Take 600 grams potatoes and cut it into potato fingers and boil. 2. Put it into a zip bag and freeze overnight. 3. Heat sufficient oil in deep fryer and deep fry french fries till crisp. 4. Take a pan, add 40 grams sesame seeds, 1/2 teaspoon thyme, 1/2 teaspoon oregano, 1/2 teaspoon basil and stir for 3 - 5 minute. 5. Transfer it into a blender, add 1/2 teaspoon cumin, 1/4 teaspoon cinnamon, 1/2 teaspoon salt and blend it to a fine powder. 6. Heat non stick pan, add fries and sufficient amount of mediterranean powder and mix well. 7. Serve hot with ketchup. 4. In a blender add 1 teaspoon red chili, 1 teaspoon cayenne pepper, 1 teaspoon red chilli flakes, 1 tablespoon stock cubes, 1 teaspoon garlic powder, 1/4 teaspoon chaat masala, 1/2 teaspoon salt and blend it to a fine powder. 5. 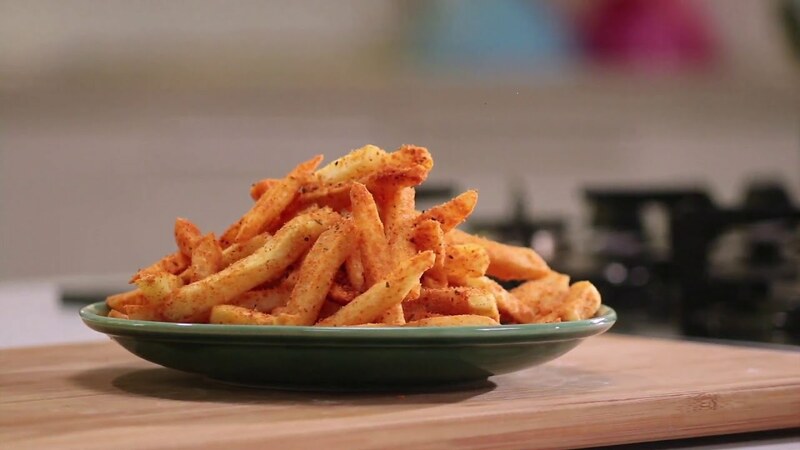 In a mixing bowl add fries and sufficient amount of peri peri powder mix and toss. 4. Dry roast 40 grams sesame seeds, 60 grams split black gram, 60 grams roasted split gram, 60 grams split bengal gram, 80 grams mustard seeds, 10 dry red chili for 30 seconds. 5. Transfer it into a blender, add 1/8 teaspoon asafoetida, 2 tablespoons jaggery powder, 1 tablespoon salt and blend it to a fine powder. 6. 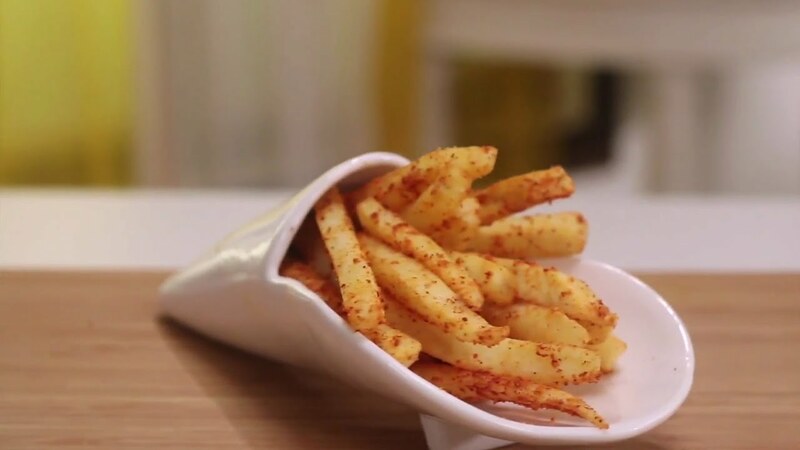 In a mixing bowl add fries and sufficient amount of Molaga Podi powder mix and toss well. 4. Transfer it into a mixing bowl and sprinkle 1 tablespoon salt and mix well. 5. Serve hot with ketchup. 7 Ways to Pamper Yourself This Weekend!